After the U.S. executive order in early 2015 that allowed more classes of U.S. citizens to travel to Cuba without seeking prior U.S. government approval, I decided I would like to visit the island to learn more about the culture and doing business there. In my role as a journalist covering the printing, packaging and publishing industries, the goal was to visit those types of companies. 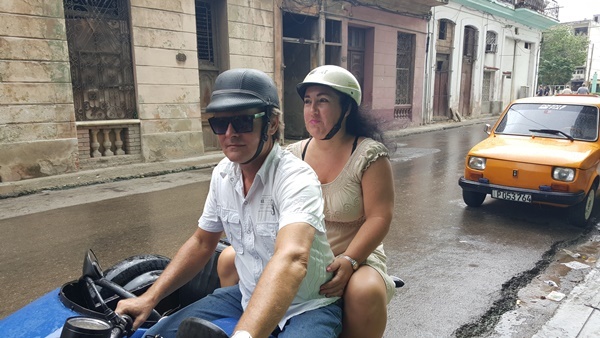 After the U.S. executive order in early 2015 that allowed more classes of U.S. citizens to travel to Cuba without seeking prior U.S. government approval, I decided I would like to visit the island to learn more about the culture and doing business there. In my role as a journalist covering the printing, packaging and publishing industries, the goal was to visit those types of companies. Even though explicit permission from the U.S. government was not required, I did need to secure a journalist visa from the Government of Cuba, and that took some time. It also required an in-person visit to the Cuban Embassy. Cuba has a dual currency system. 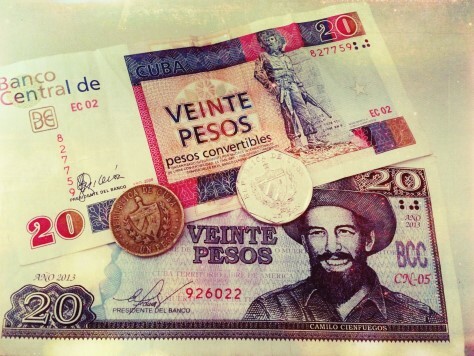 The Cuban Peso (CUP) has an exchange rate of 25 to the Cuban Convertible Peso (CUC). 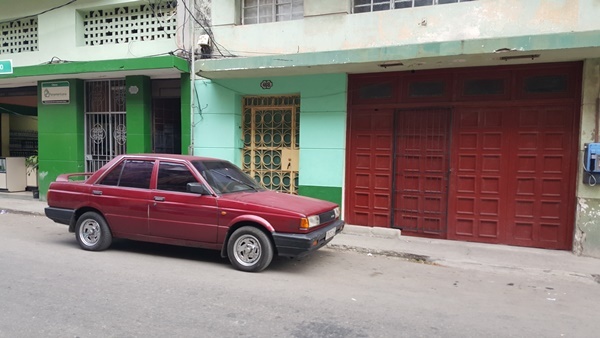 Most workers are paid in Cuban pesos, which they must exchange, at an unequal exchange rate, for CUC if they wish to buy any luxury item like furniture, electronics, gain entrance to a club, etc. While the CUC is tied to the dollar at a 1:1 exchange rate, by the time you figure in the fees for changing U.S. cash, the exchange rate was .87; so for $100, I would get 87 CUC. While regulations now allow the use of U.S. credit cards in Cuba, most banks have not caught up with the regulations. If you go, bring cash! I ended up staying in a Casa Particular, a B&B kind of arrangement licensed by the government. It was a great way to be closer to the culture than staying in a hotel. I am always surprised at the number of Americans who have told me they are anxious to visit Cuba to take advantage of the business opportunities there “before it opens up.” This is a bit strange, since everyone else in the world can go there, make investments, start businesses, etc. It is only because of the U.S. embargo that Americans face so many restrictions. I do believe there are still opportunities for American businesses to invest there once the embargo is lifted (if it is), and there are already some opportunities due to Executive Orders. The smaller Cuban companies I spoke with are very interested in working with American companies. This is a scenario that will need to play out over time, but as restrictions ease, we can expect to see more American investment in Cuba. That means that companies that are interested in either investing in, partnering with, or doing business with Cuban companies should be thinking about this now. 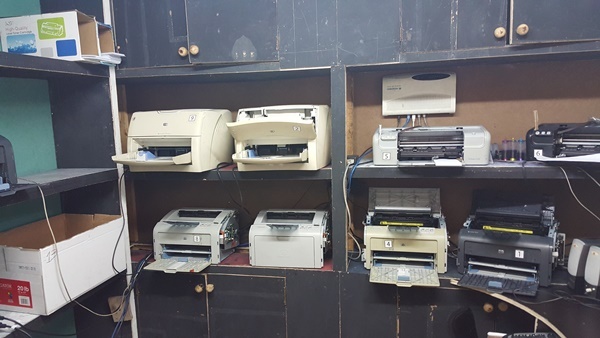 Before departing, I obtained a list of some of the printing businesses in Cuba, but since most did not have an online presence, it was hard to tell anything about their size or the type of equipment they had. I was able to make some contact but with the short notice as to the actual dates I would be traveling, a lot of those arrangements had to wait until I was there. 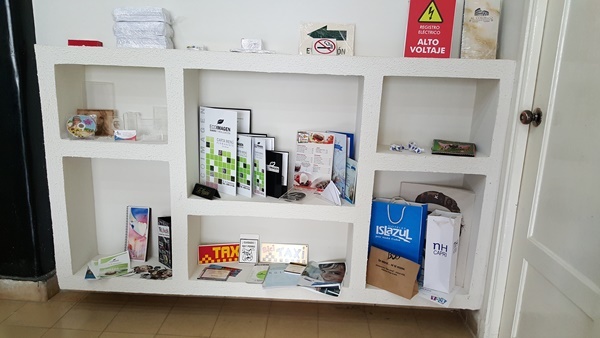 Several of the people I met with explained to me that these days, any companies with larger offset or flexo presses are owned by the Cuban government, with the exception of one packaging plant that is partially owned by Autajon, who I am told is Heidelberg’s largest global customer. This French company acquired Spanish company Durero in 2008, and Durero Caribe in Cuba was part of that acquisition. I am told that the Cuban government owns 51% of the company, per its standard practice at the time of the acquisition. In 2007/2008, the government began issuing licenses for entrepreneurs to enter into businesses that are fully owned by them, which was illegal before The initiative was slow to get started but is gaining steam, with an estimated 1.8 million workers employed in private settings in 2015. Most of the companies I visited are in business as a result of this loosening of government control. They must pay a monthly license fee to the government and prorated taxes. For a small business, this might be as low as 10% of revenues, but for larger companies, it tops out at 50%. Prior to the Revolution led by Fidel Castro in the 1950s, there were larger printing companies on the island with offset printing presses. However, over the years, these presses have aged, as have the owners, and I am told lack of funds for capital investments made it virtually impossible for these companies to acquire new equipment; thus, they have closed their doors. 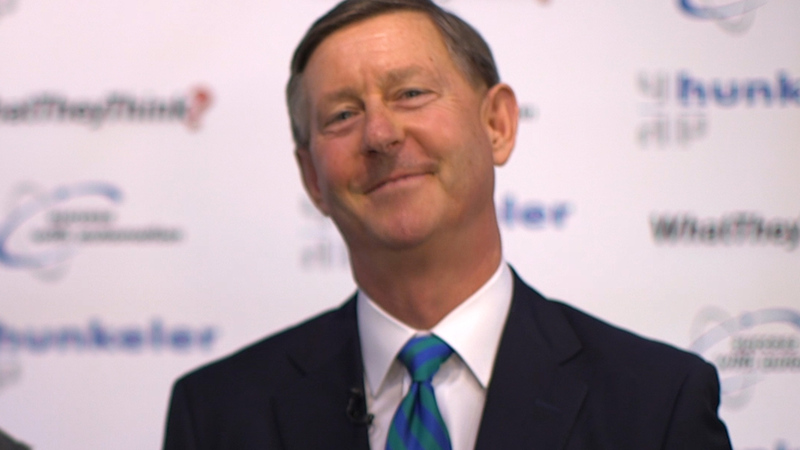 The companies I spent time with were designers who had added printing to their businesses. These were all relatively new private businesses, and they all have goals to grow their revenues and add higher end printing services. The first company I visited is the small design firm that didn’t want its name used. 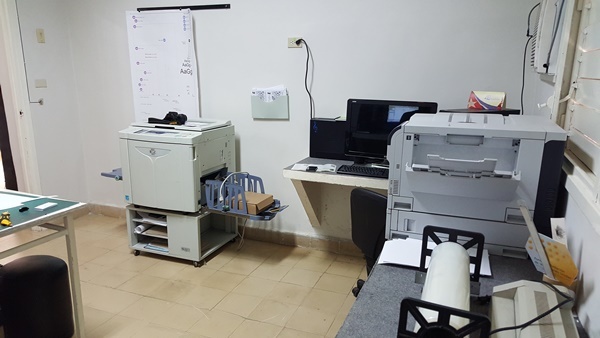 The company has a print room with five small HP monochrome toner printers and three small color inkjet printers. They produce all of their work internally, except if someone wants oversized material they can’t produce on their A4 printers. They are mostly producing business cards, flyers, stationery, that type of thing. The owner is bright and energetic and wants to take the business to the next level. She would like to acquire a color printer capable of producing 200,000 copies per month and was thinking about Ricoh. 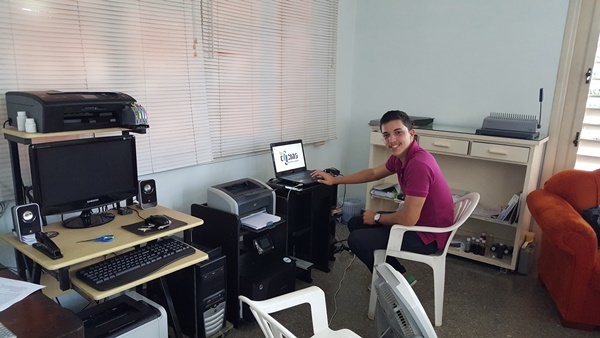 I also visited La Oficina Impresion, founded just a couple months earlier by 21-year-old Carlos Mejias. 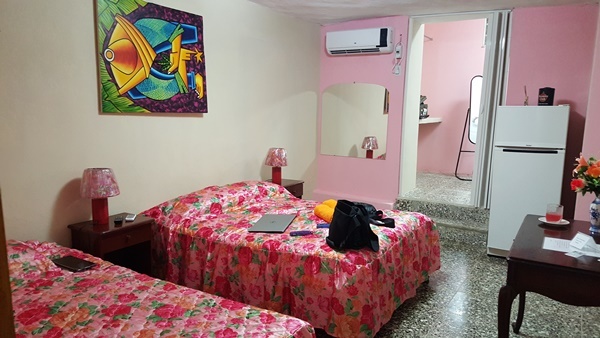 La Oficina Impresion is located in Carlos’ apartment on the third floor of a nice neighborhood. Carlos has a Brother DCP J 125 A4 color printer, a small (A4) HP B&W toner printer and a couple of computers. He does design for clients, and the printing. It’s all very short run stuff, business cards, flyers, invitations, that kind of thing. In speaking about the future, Carlos said he had his eye on a Brother dye sublimation printer that could print on ceramics and fabric. Next up was Ecoimagen Diseño y Realizacion. This was a larger business, run by Roy Barthelomy and Yamika Soler, in business for 1.5 years with a total of 5 employees, including two designers and two production people. Equipment included an HP 800 inkjet roll-fed printer (4-color), a Riso 220 U where they did mostly flyers, and an HP Laserjet CP 5524 (color). There was also a cutter and two computers. They produce a variety of signs, flyers, brochures, menus and art reproductions. They also print and assemble gift bags and have a laser engraver. 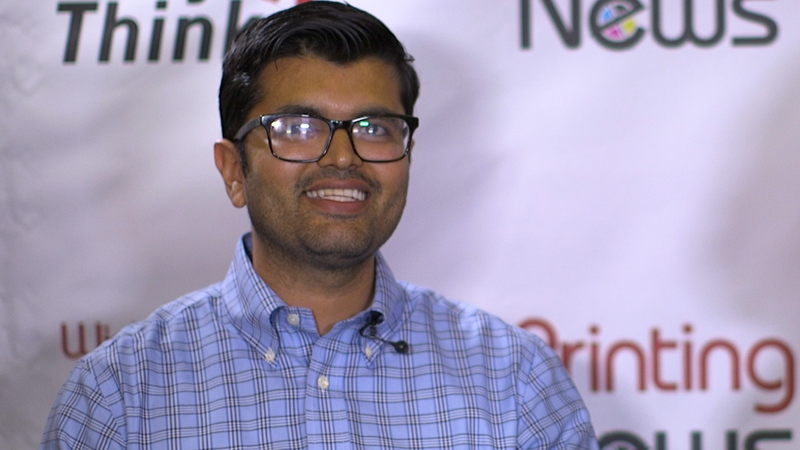 He hopes to continue to grow the business and would like to get a larger format printer, maybe a flatbed. I also met with Eilyn Prieto Herrera, a sole proprietor design and print firm, Puropapel, located about an hour outside of Havana. 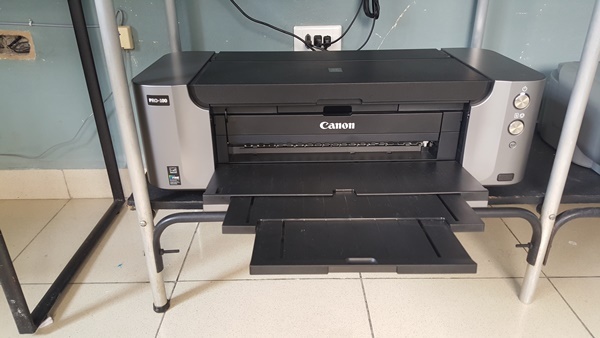 She was able to get an 8-color Canon inkjet printer that has really nice quality. She showed us several samples of her design work. She also has two small embossing machines (manual). 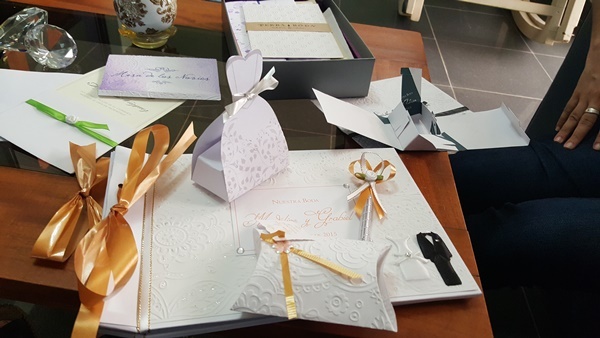 Mostly she is doing business cards, invitations, wedding stuff. 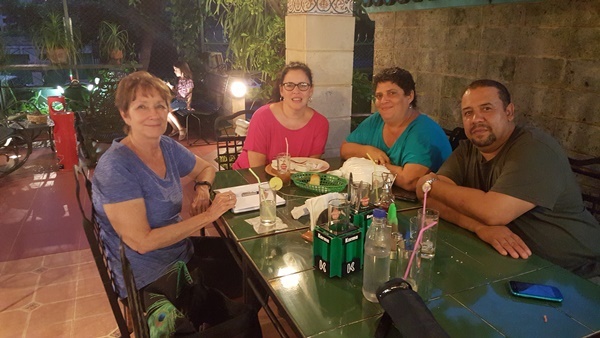 Then I had dinner with a group from elfosgráfica, a family owned business that is doing some exciting work with creating digital versions of old and rare books for the National Library of Cuba. Milena Recio is the web editorial director for On Cuba magazine, a bimonthly magazine that is put on charter flights between Miami and Cuba. 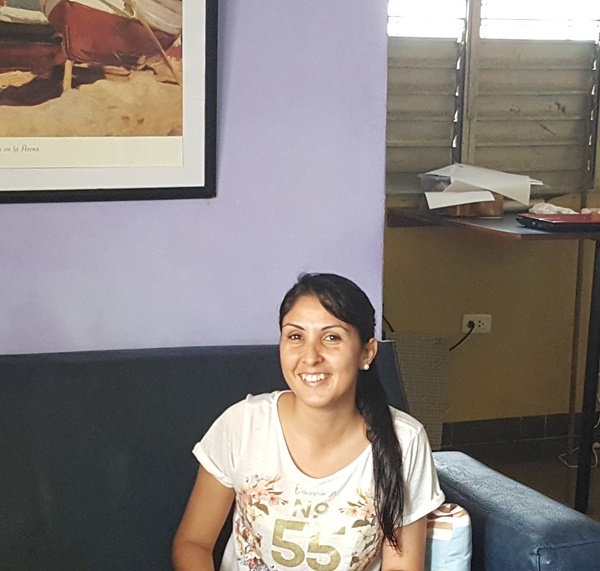 She and her sister, Yamilet Moya Silva and their husbands are the principals of elfosgráfica. They obtained licenses from the government to start their own business as part of the entrepreneur program. Once they began to get clients, they found that the clients wanted the services all under one roof – design and production. So they acquired a Roland eco-solvent roll-to-roll printer, 1.3 meters, 4 colors, and have been able to leverage that to grow the business as well. They produce corporate identity materials for the National Library and the Cuban Cultural Foundation (Fondo Cubono de Bienes Cultural), advertisements for Cuban and foreign businesses and exhibition signage posters. They were justifiably proud of the work they are doing in book design. Elfos Grafica was chosen to do the design for La Virgen del al cariad del cobre en el alma de pueblo cubano (in English: The Virgin of Charity of El Cobre in the Soul of the Cuban People).1 This is a book that was researched and written by Cuban historian Emilio Cueto, who has been living in Washington D.C. for more than 40 years and is also affiliated with the Smithsonian. What makes elfosgráfica really proud is that the book is the first Cuban book that has been placed in the U.S. Library of Congress. It was also presented to the Vatican and the National Library of Cuba. It is the only Cuban book to be in all three places. 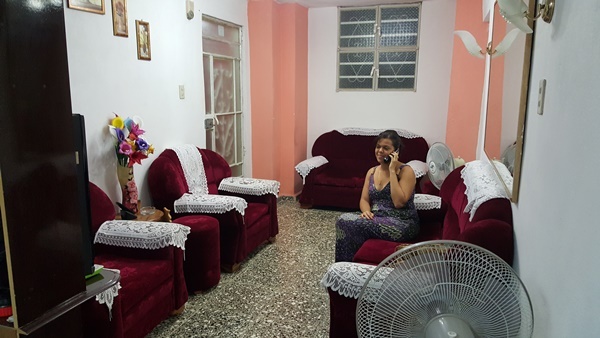 The principals of Grupo Promociones, Yoaima Rodriguez Marin and her husband Eduardo Fiallo, are also about an hour outside of Havana, and they were kind enough to meet with me in my lodgings. 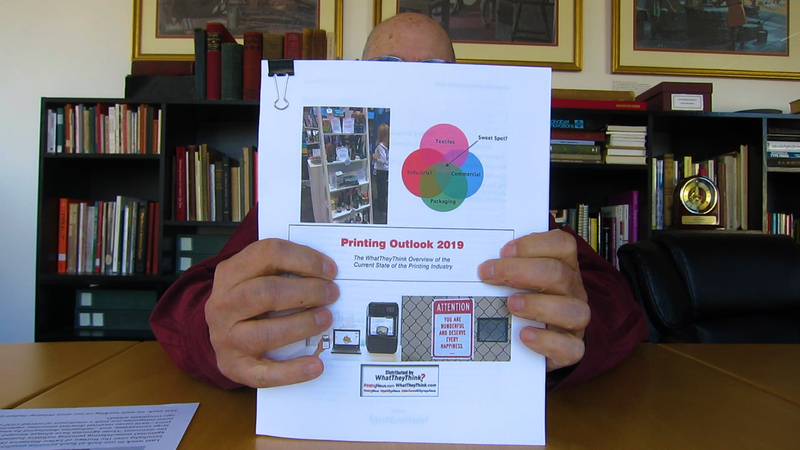 They have a 4-color HP Design Jet with pigment ink, and were very proud of the fact that they had one of only two pigment ink printers in the country. It allows them to print on Chrome Coat, which no one else can do. The ink, they say, is quite expensive, about $60 US per liter, and black is even more expensive. It is hard to get. These folks were also quite interesting. They do design for magazines, newspapers, produce business cards and other corporate identity. One magazine they showed me was Cuba Foreign Trade, the entirety of which Yoaima designed and is credited with in the publication. Yoaima has been in printing and design for 20 years and is passionate about it. She worked for the government for a time, but like the elfosgráfica folks, wanted to try working on her own, and got the appropriate licenses. She is also a photographer and they are getting into video as well. Her husband works for the government but helps with the business. Both her mother and father are journalists, and her father also works in Radio. Yoaima’s degree is in education and her husband’s is in graphic design. They do book design as well, and are working on a book about wine in Cuba and the world written by a Cuban sommelier. They do other cooking-related books as well. Yoaima and Eduardo are very interested in finding an American printing company that is interested in partnering with them. I think they would be excellent partners. Persons subject to U.S. jurisdiction engaging in import transactions involving goods produced by an independent Cuban entrepreneur pursuant to § 515.582 must obtain documentary evidence that demonstrates the entrepreneur’s independent status, such as a copy of a license to be self-employed issued by the Cuban government or, in the case of an entity, evidence that demonstrates that the entrepreneur is a private entity that is not owned or controlled by the Cuban government. There is a list of restricted items and limitations on certain items – like those Cuban cigars! – but printing and design services are not prohibited according to the list. The full story of my trip to Cuba can be downloaded here. You will want to familiarize yourself with the latest regulations and get a visa from the Cuban government. The Cliff Notes version can be found here: https://www.treasury.gov/resource-center/sanctions/Programs/Documents/guidance_cuba_travel.pdf. The full regulations are here: https://www.law.cornell.edu/cfr/text/31/part-515. If in doubt, give the government a shout. 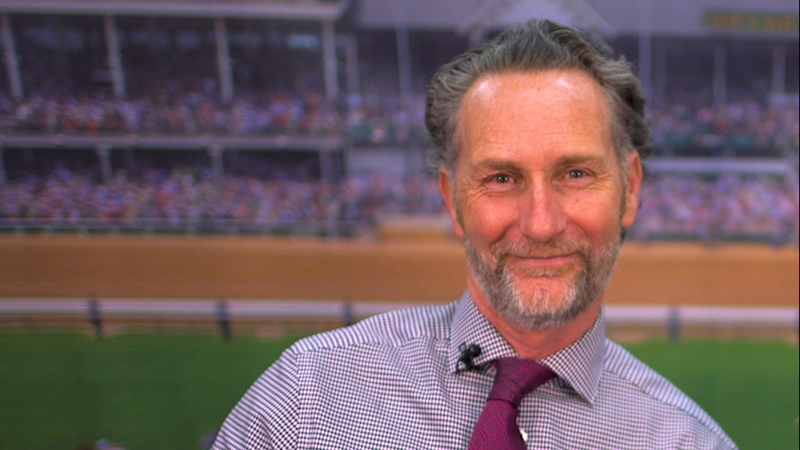 Cary, what a fascinating look you've given us at a country that most Americans know nothing about. The entrepreneurial spirit of the people you spent time with is inspiring, and you make us feel in solidarity with them. Now we know that even on a small scale, the graphic communications industry is alive and well in Cuba. Three cheers for your sources' efforts to make it grow. Thanks for a wonderful piece of journalism (with equally great photos!). Patrick, thanks for your comment. It was well worth the time! 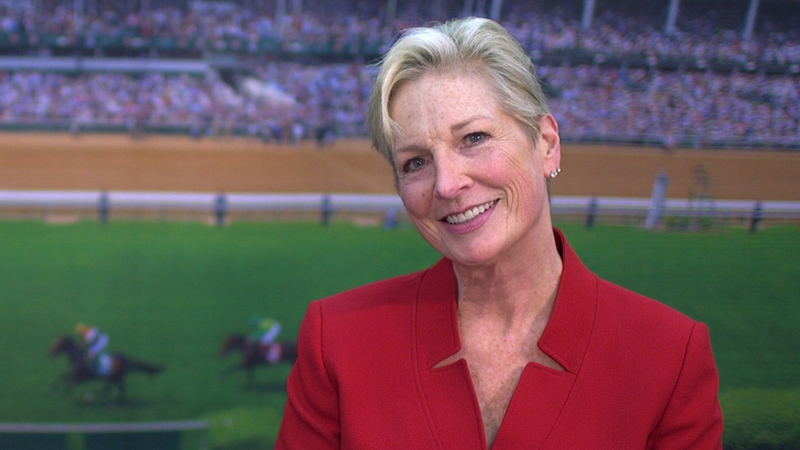 And I feel lucky to have been the first U.S. printing journalist to go there. Really great article. Fascinating to learn about this country. So many things we take for granted are not common! Also wonderful to hear about the spirit and ingenuity of the people. 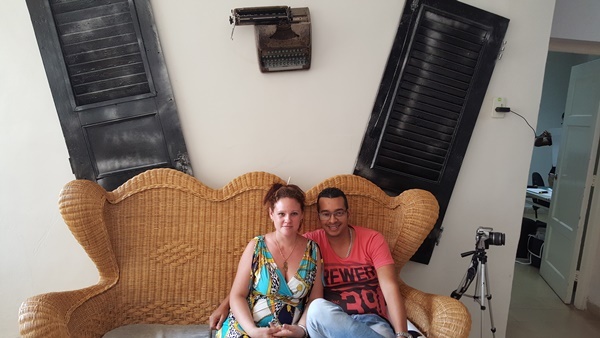 Cary, thanks for this inside look at the culture and people of Cuba. It's hard to imagine life without easy access to Internet, and even harder to imaging launching a business in that climate. All the folks you met are to be admired for pursuing their dreams, and from the looks of it, producing some impressive work with what they have. Kudos to you for all the legwork required to get there and tell these stories. I loved the extended article!